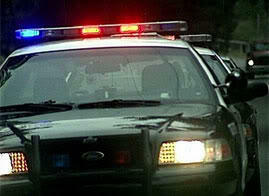 Hamilton County Commissioners are expected to discuss the 2013 general fund budget Monday morning. 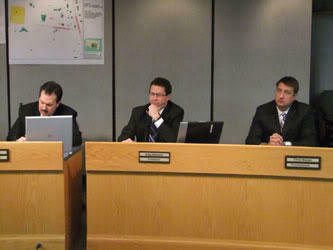 Commissioners hear proposed budget plans Monday morning. “After five consecutive years of budget cuts, looking at a $20 million deficit for 2013, I made the decision to actually create three different scenarios for the commissioners to consider,” he says. Sigman says each scenario is balanced. 'Option A' is the most austere, focusing only on core county services such as the jail and sheriff's office. 'Option B' focuses on economic development by getting rid of development fees. 'Option C' recommends co-locating a new crime lab with a jail-like treatment facility to help reduce overcrowding at the jail. Both options B and C include a quarter percent increase in the county sales tax. Sigman says Option B offsets the increase by moving some functions of the indigent care levy to the General Fund and reducing that property tax. Each option recommends a three percent wage increase for county workers. They haven’t had increases in five years and Sigman says the county needs to be competitive in attracting and keeping qualified employees. The board is scheduled to adopt a 2013 budget November 14th. As Hamilton County budget meetings continue, the story remains the same. Department heads are still begging to keep their budgets intact... and commissioners keep saying everyone will have to deal with less. Lamenting unfunded mandates from the state legislature is another popular refrain. Hamilton County budget process "challenging"
Hamilton County Commissioners are meeting with department heads as they work out next year's budget. With most agency leaders begging not to have their budgets slashed and Commissioners facing steep cuts, the meetings don't last long. Board president Greg Hartmann calls the process challenging. “We’re in the neighborhood of being $100 million dollars smaller than we were six years ago, from $300 million to $200 million,” he says. 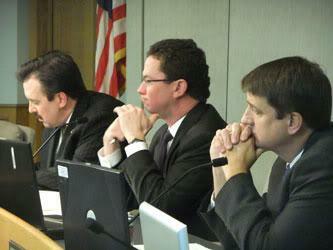 Hamilton County Commissioners are navigating the budget process for next year. No decisions have been made but they're already responding to comments from outgoing Sheriff Simon Leis that they plan to gut his department. Leis threatens proposed cuts would mean laying off employees and reducing space at the overcrowded county jail. Commissioner Chris Monzel says public safety is a top priority.